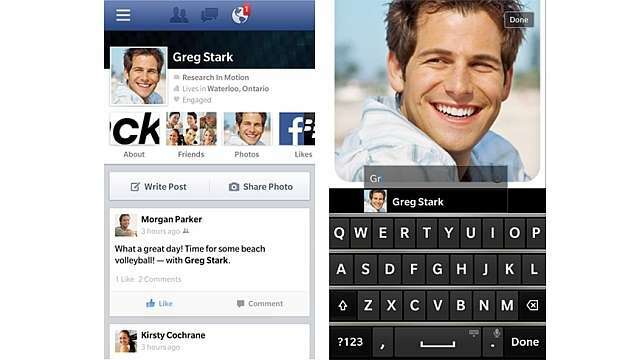 While all the techies and mobile lovers are glued to the WWDC 2103 and Apple launches, the Blackberry team and Facebook quietly launched an update for the Facebook for BlackBerry App. The new update hikes the version number to v10.2.0 and is now available for BlackBerry 10 devices. The most important feature of the new Facebook App is a very refreshing looking News Feed. With the new design and a little tinkering the update offers a very easy navigation to the users. The updated App also lets you create new albums from your photos page which is indeed helpful to users who have high volume of images or are photography aficionados. The App also lets you to tag an existing photo on Facebook from within the App. In addition to tagging, users can toggle between all their photos and albums.